This stylish cable knit range from Danish Design is perfect for snug evenings. Cosy Damson Sherpa fleece and faux suede. The Deluxe Slumber bed is available in a choice of sizes. 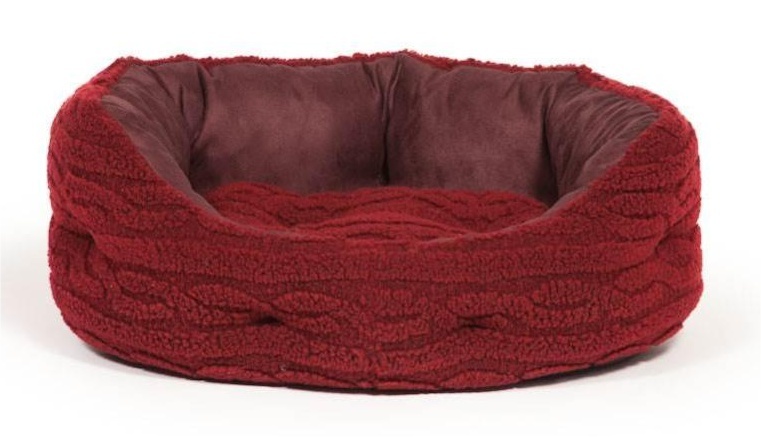 The circular shaped large dog bed features deep filled and quilted fibre shoulders for extra comfort, and a matching fibre filled removable mattress. Access is easy via the deep front opening. The complete bed is fully washable. 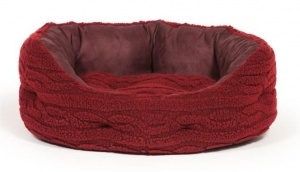 The deep supersoft fibre filling offers superb warmth and comfort.